Gabe & Kate 2008: 1 month away! In exactly one month, we'll all be together celebrating!!! I can't even explain how excited we are! The RSVP'S are rolling in! And I'll tell you what - it's going to be quite a PARTY!!! Can't wait to see all your happy faces! 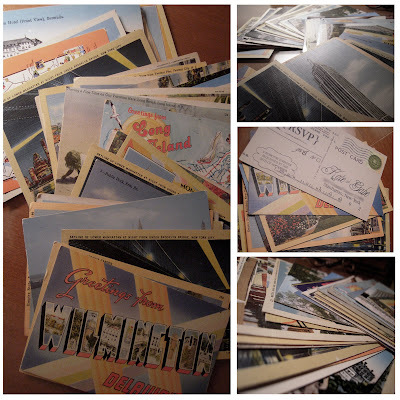 the postcard idea is so great - not only is it vintage and fun but your guests can have fun by writing all sorts of messages to you.